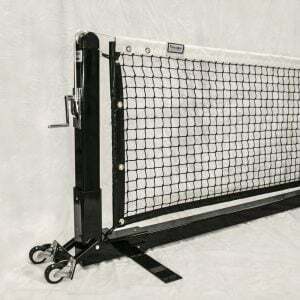 Faster and Easier To Setup Than Any Other Portable Net System! 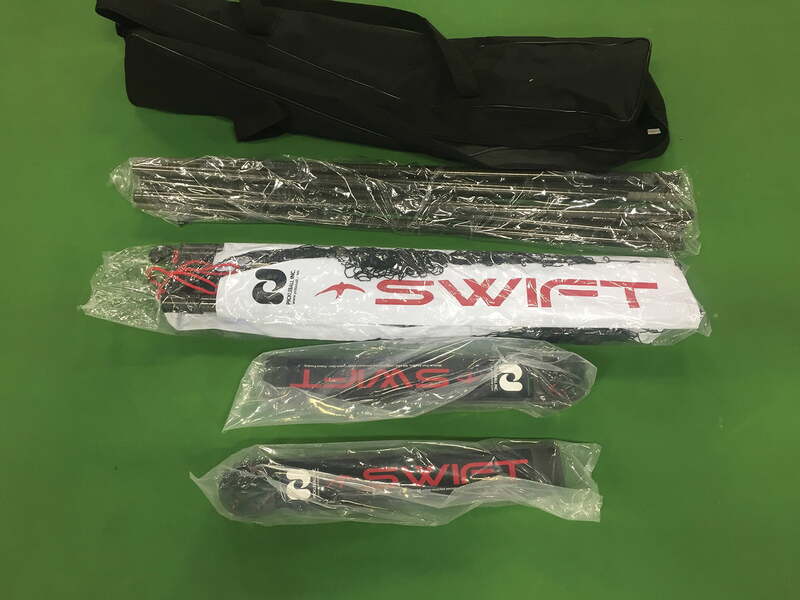 The SwiftNet Portable Pickleball Net System is a game changer for those who play often and desire precise regulation heights from their net. The unique locking system and supportive brace used on this system keep it at the perfect 34” height at the center and 36” height at side lines of the court. The net uses a high-tensile, non-stretch top cord which means that the net doesn’t sag or require re-adjustment even after weeks of use. 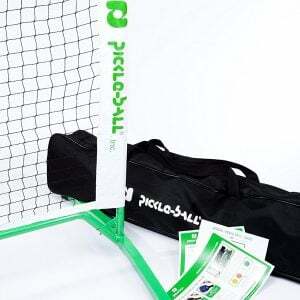 Another big benefit is that the system’s poles can simply slide in and out of the feet without needing to slip the net off for easy breakdown and setup. With only five parts, the net can be quickly and easily assembled (or disassembled) in under 3 minutes. The SwiftNet Portable Pickleball Net System deserves extra admiration for its incredibly light weight as well. 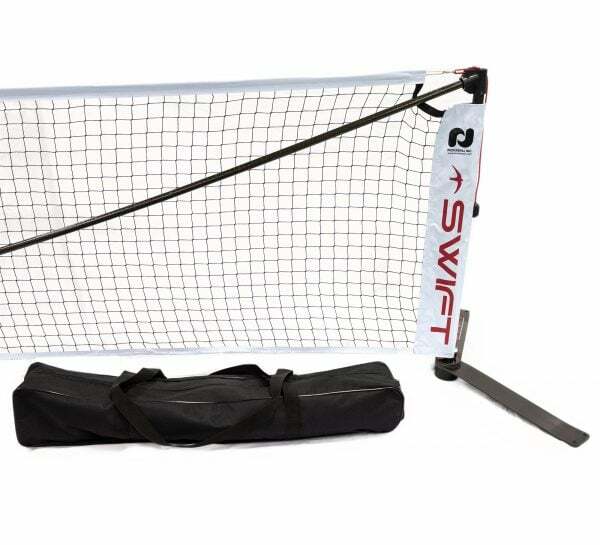 Weighing in at approximately 14 lbs, it is far less of a struggle to move than other net systems in the 25-35 lb range. The structure is made with recycled aerospace-grade carbon fiber, making it stronger than steel, lightweight, and rust resistant. 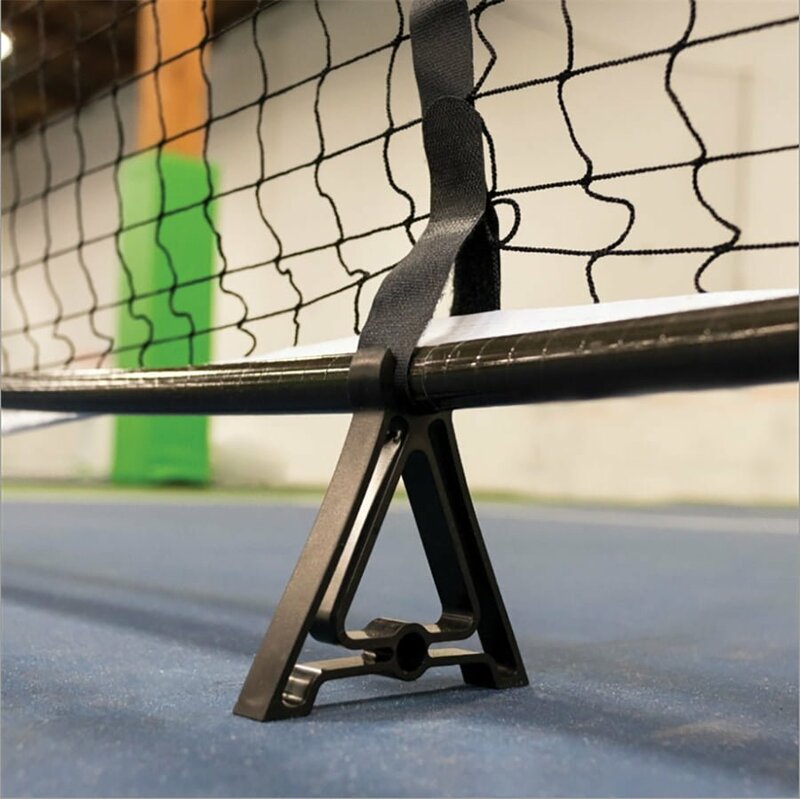 The carbon fiber feet and boom bend (and rebound back into shape) but don’t break, and can survive impacts from players during game play without deforming the net structure. 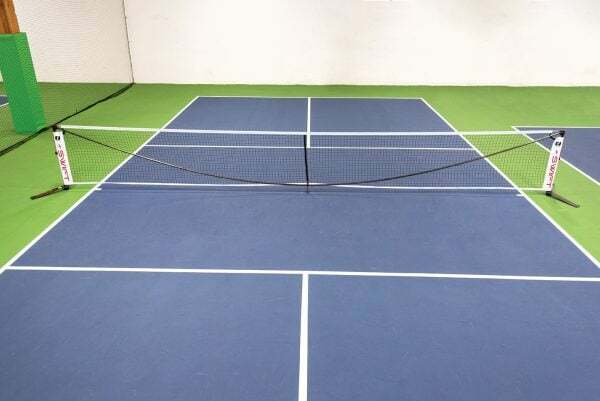 We’ve had the prototype versions of these nets up during daily play at our facility for months without them bending or being damaged, and we have to say we are blown away by how durable these net systems are! The clean design has the net’s name printed on the side with reinforced vinyl that will stay strong despite any tugging or travel.